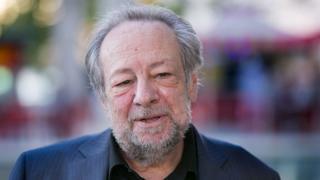 American magician and actor Ricky Jay has died of natural causes in Los Angeles, his manager has confirmed. A 1993 profile of Jay in the New Yorker described him as “perhaps the most gifted sleight-of-hand artist alive”, able to baffle even fellow magicians with his skills. The performer also appeared in films like Boogie Nights, Magnolia and Tomorrow Never Dies. Tributes have already begun to flood in from fellow magicians and actors. Penn Jilette, of magic duo Penn & Teller, described him as “one of the best who ever lived”, while How I Met Your Mother star Neil Patrick Harris called his death a “profound loss”. Born Richard Jay Potash in Brooklyn, Jay did not publicly discuss his childhood, and his date of birth is not exactly known, ranging from 1946 to 1948. He reportedly first performed in public at the age of four, and played a number of comedy clubs and nightclubs – thought to be one of the first magicians to do so. Jay was also well known for his card throwing ability. In shows, he was able to throw cards into the rind of a watermelon from 10 paces. Guinness World Records once reportedly listed Jay as throwing a playing card 190ft (58m) at 90mph (145km/h). Jay acted in several major Hollywood films. In 1997, he played terrorist Henry Gupta in Tomorrow Never Dies, and appeared in director Paul Thomas Anderson’s film Boogie Nights. Jay also narrated parts of Anderson’s 1999 work, Magnolia. More recently, he played Eddie Sawyer in season one of the television programme Deadwood. He wrote the episode Jewel’s Boot Is Made for Walking for the show. He also worked as a consultant in Hollywood. He and collaborator Michael Weber founded the firm Deceptive Practices in the early 1990s to advise film and television productions on “arcane knowledge”, and helped out on films like Forrest Gump, Congo, The Prestige and The Illusionist.